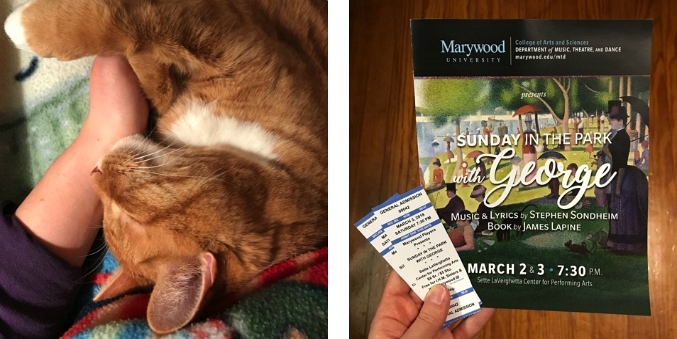 love, laurie: weekend snapshots . . .
weekend snapshots . . .
a few photos of . 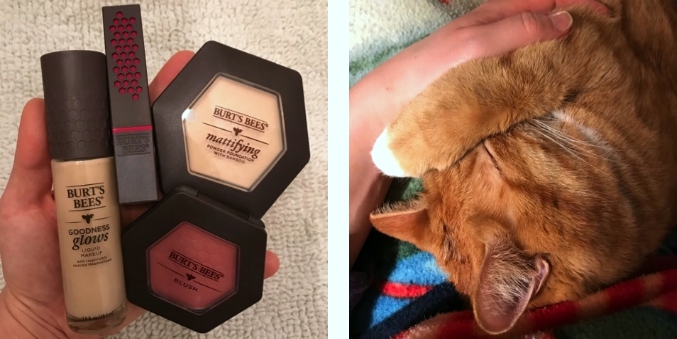 . . kitten cuddles late at night, seeing a musical at our alma mater, trying out the new burt's bees line of makeup (!!! ), and ryan's favorite pose that leko does which always makes him melt. That makeup looks good. I like Burt Bees products. I like Burt Bees products, too. I'll have to try it.